Smartwatches are often anything but. 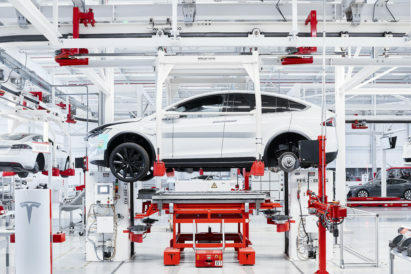 With more functions and features crammed into their cases than some computers, they can become confusing and over-engineered past the point of usefulness. 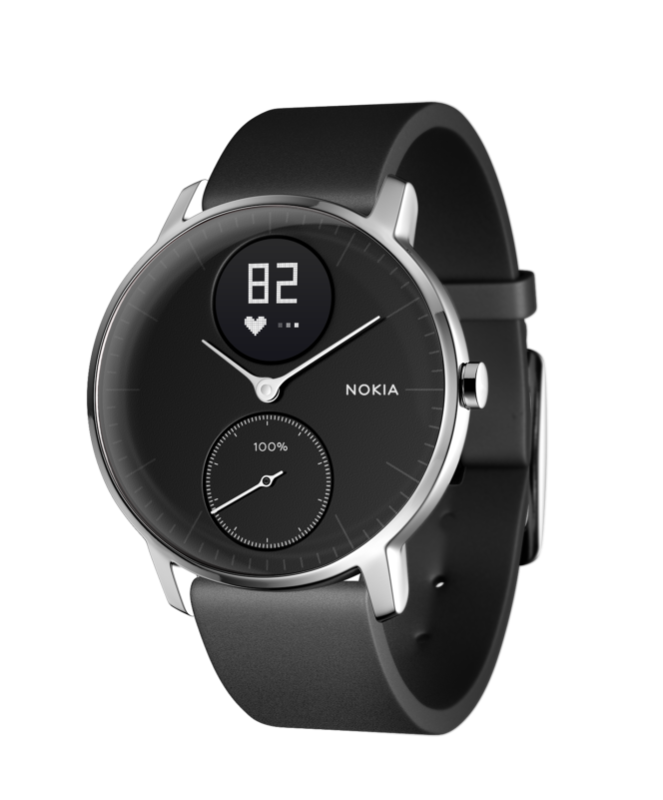 But Nokia, with their new Nokia Steel HR, have created a hybrid smartwatch. 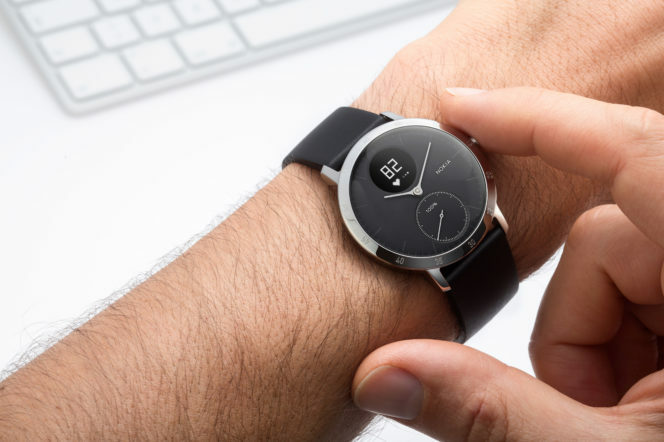 In short, that means this watch doesn’t think it should be able to control your music, access your calendar, or give you the option to respond to texts without taking your phone out of your pocket. It is primarily, as you want, still just a watch. How often do you think about your heart rate? 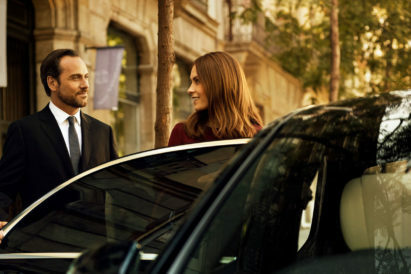 Perhaps when you’ve just run to catch a bus, or at the gym – but why would you care any other time? Just wait until you have a heart rate monitor perpetually strapped to your wrist. We found ourselves checking our heart rate a couple of times an hour, which led to us regulating our breathing, and a generally calmer day. It can also help during work-outs, when you’ll more effectively be able to identify the ideal level of exercise. How this simple watch can identify over 10 different activities, we can’t fathom – but we’re glad it can. The automatic step counter is particularly good. We all know we’re meant to do 10,000 steps every day, but few of us do. With the reassuring, congratulatory buzz the watch gives you when you hit that marker, however – you’re more likely to push yourself that extra mile. On top of telling you how many steps you’ve thrown down, the watch can also tell you how many miles you’ve walked and how many calories you’ve burned. Even in the short week we wore the smartwatch, we wanted to beat previous day’s records – pushing us to exercise more, and a more healthy lifestyle. The smartwatch wirelessly charges, and charges quickly – which is important with gadgets like these. But the most impressive feature is the battery life – a huge 25 days on a single charge. 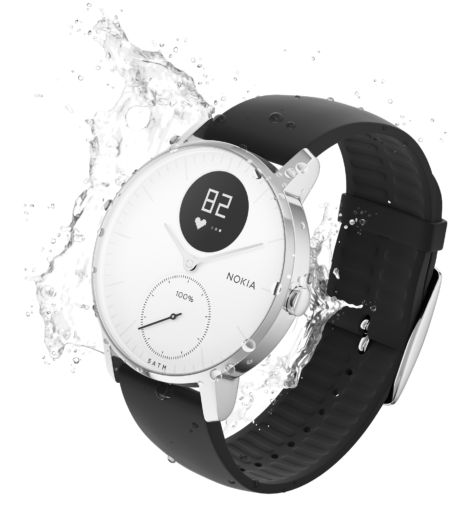 One of the worst things about smartwatches is how often they need charging, so that Nokia have managed to fit almost a month of charge – including 20 days more if you pare the features used back to just time and activity tracking – is incredibly commendable. 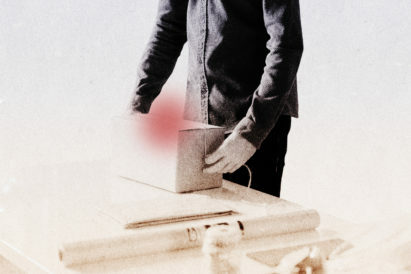 There’s nothing worse than sleepless nights – and nothing better than finding the right tool to fix them. 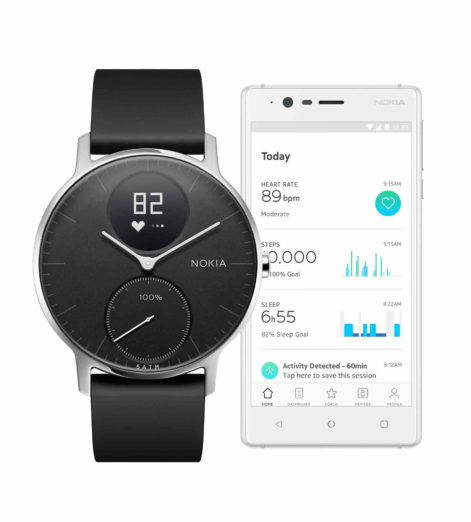 The Nokia Steel HR not only offers a sleep cycle analysis with silent vibrating alarm, but also offers you the chance to track your nights on the accompanying Healthmate app. Just program in how any hours you want to get, and the smartwatch will break down your sleep cycles, percentage of sleep goal, number of wake ups and time it took for you to fall asleep – among other things. Just one more impressive function of a thoroughly impressive smartwatch.